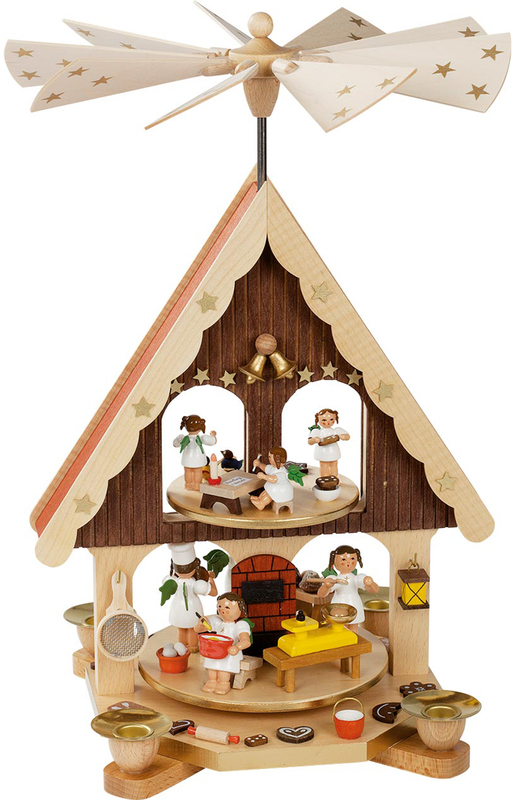 16294 - Pyramid - 13.5H x 9"W x 9"D"
16294 - Richard Glaesser Pyramid - Baking Angels - 13.5H x 9"W x 9"D"
Richard Glaesser pyramid - natural wood color 2-story house design - Baking Angels in various activities - made in Germany - uses #29314W white - #29314N natural - or #29314R red candles. Heat rising from candles turns paddles and base. 35-906 - Christian Ulbricht Incense Burner - Santa with Toys - 7.75"H x 4.75"W x 3.75"